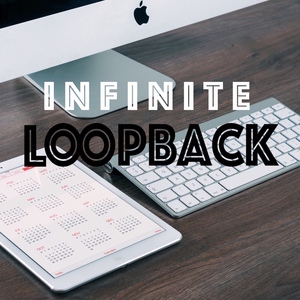 89 episodes of Infinite Loopback since the first episode, which aired on August 6th, 2016. Apple's potential news subscription service, Apple patches FacePalm, and Spotify acquires Gimlet Media. January 9th episode - Apple lost a little off its bottom line, AirPlay comes to non-Apple devices, Siri gets better on the HomePod, Pandora gets on the Apple Watch, Brian gets a new Apple Watch charger, Brian covets Jim's new headphones, Brian's HomePod dies, new Netflix stuff, and so much more! The guys discuss their Black Friday stuff and so much more! The guys talk about Apple's TV content, Facebook unveils an Echo Show competitor, Siri Shortcuts are all over the place, and so much more! New iPhones, new Apple Watches! It's our favorite time of the year! The new iPhones and Apple Watches have been announced! The guys recap the event! Episode 82: How big is Mini? The guys discuss a maybe-new-Mac-Mini, the woes of iOS 12 beta, Twitter cripples third party clients, Back to my Mac goes away, and so much more! The guys talk about Group FaceTime getting pulled, hackers hack the Amazon Echo, Google stores your location data, Jason goes to see Taylor Swift, and much more! The guys talk about Apple hitting $1 trillion, iOS betas, and a lot more! The guys discuss the new MacBooks Pro, 1Password, iPhone 9 rumors, and Prime Day purchases! Episode 78: Grapefruit Juice is Delicious? The guys discuss the new iOS and watchOS beta impressions, Jim builds a Pi Hole, Apple gets serious about Maps, and Jim actually thinks grapefruit juice isn't disgusting. All this and more! In this episode, we recap tvOS, macOS, and watchOS announcements from WWDC 2018! Last episode before our WWDC coverage. Guys talk about Google Duplex, YouTube Premium, Tweetbot 3 for Mac, Firefox containers, and more! We discuss hipster-flip-phones, Jim still uses an alarm clock, Brian's Apple Watch band addiction, and so much more!